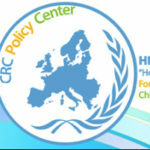 Vera started collaborating with Hope for Children CRC Policy in October 2017 as a volunteer through the Erasmus+ Programme from the European Commission. She’s currently working at the Home for Hope shelter as a Care Support Officer. Vera holds a graduate and master’s diploma in Psychomotor Rehabilitation from Faculdade de Motricidade Humana – Universidade Técnica de Lisboa, Lisbon (Portugal). 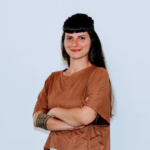 She developed her internship activities as a member of a multidisciplinary team in the child psychiatry department of a public hospital (Hospital D. Estefânia). These activities consisted in providing psychomotor assessment and design, adjustment and implementation (in group sessions) of the psychomotor therapy plan for children with mental health disorders with psychosomatic expression. Vera has worked as a psychomotor therapist in both public and private schools, accompanying children with developmental and educational special needs in projects regarding inclusion. She has also developed her professional skills as a Hippotherapist and Adapted Aquatic Intervention.